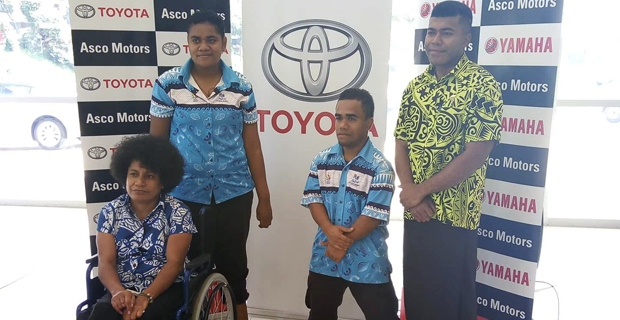 Asco Motors will be donating around $30,000 to the Fiji Paralympics Committee. This will be done through 3 installments over the next 18 months. Asco Motors CEO Craig Sims says that they are happy to help with assisting paralympics athletes as Toyota is a Global Olympic Sponsor. Sims says that with a little funding, these athletes can do amazing things and with the help of other corporate bodies, this can be a reality for Fiji. Fiji Paralympics Committee Executive Director, Joshko Waqaniyasi says this is a big boost for the Fiji Paralympics athletes. Waqaniyasi says that the funding from Asco Motors, will not only help the athletes in their preparation, it will also give them an opportunity to contend for a medal during the 2020 Olympic Games in Tokyo.